Several analysts say Boeing could decide to replace the signature 737 rather than to simply replace the engines. SEATTLE -- ( TheStreet) Boeing ( BA - Get Report) is preparing to replace the most successful aircraft in history. "The indications I'm getting are that they are leaning towards a new airplane, not a re-engineer," said consultant Scott Hamilton, founder of Leeham Co., which publishes an online newsletter about aircraft manufacturers. The most recent edition quotes a report by Buckingham Research analyst Richard Safran, who wrote that Boeing is likely to drop its widely assumed plan to re-engine the 737 in favor of developing a new airplane. "Current thinking (by Boeing) could be leaning towards a new airplane," Safran wrote. Boeing has said repeatedly that it may re-engine the 737, in concert with the development of new products from engine manufacturers. But it is not dismissing the suggestion that it could develop a new aircraft altogether. "We will evaluate engine technologies in the context of what brings real value and performance expectations to our customers," said Boeing spokesman Jim Prouix. "Reducing fuel consumption and emissions and lowering community noise are key drivers as we consider the possibility of a next-generation 737 re-engine opportunity, or provide an alternative. We expect to make a decision by the end of this year." Though it is firmly entrenched as one of just two companies in the world that makes large jets, Boeing has recently been prone to make big bets. It bet heavily on the 787 which, so far, despite immense promise, can hardly be termed a success. And after decades of aircraft production in Everett, Wash., Boeing is also engaged in the creation of a second production line in Charleston, S.C., largely as a result of a difficult relationship with its union workforce. The 737 is not just another airplane: It is the best selling airplane in history. 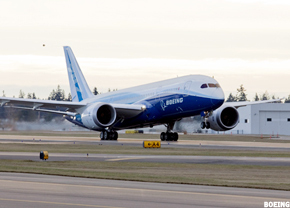 Boeing has delivered 6,348 of them and has more than 2,000 outstanding orders. The first 737-100 was delivered in 1967. Today, Boeing manufactures the 737-900. About 4,000 aircraft are currently in service, flown by airlines in 115 countries. At any given moment, 1,200 737s are in the air somewhere in the world. Of course, the Model T was successful too: that doesn't mean its success enabled Ford ( F to stop innovating. It is customers who drive commercial innovation, notes Saj Ahmad, aerospace/airline analyst for FBE Aerospace in London. "Boeing has plenty of customers in Europe like Ryanair and in the Middle East like FlyDubai who are just two of many big 737 customers who could push the move to a new jet," Ahmad said. And while Boeing has been working with engine makers on 737 improvements, "the resources required to close the business case on re-engineering is starting to appear less compelling in contrast to an all new narrowbody solution," he said. "From a capital expenditure point of view, it makes more sense to create a clean sheet design to leverage the benefits of these new fuel efficient engines." Boeing's decision is more likely to be driven by its customers than by an effort to respond to competitor Airbus, he added. Still, Hamilton said Boeing's consideration of a new aircraft raises a host of questions. "One of the concepts is a small twin aisle aircraft, with 2X2X2 seating: another is widening the fuselage to be like the A320 to give more space," he said. Others: Would the plane be built primarily of composites, or of a lighter aluminum? And where would it be built? Production could begin in five years, Hamilton said. Throughout that period, it is safe to say, development of the Boeing 838 -- if that is what the new airplane is called -- would be among the most closely watched stories in aviation.